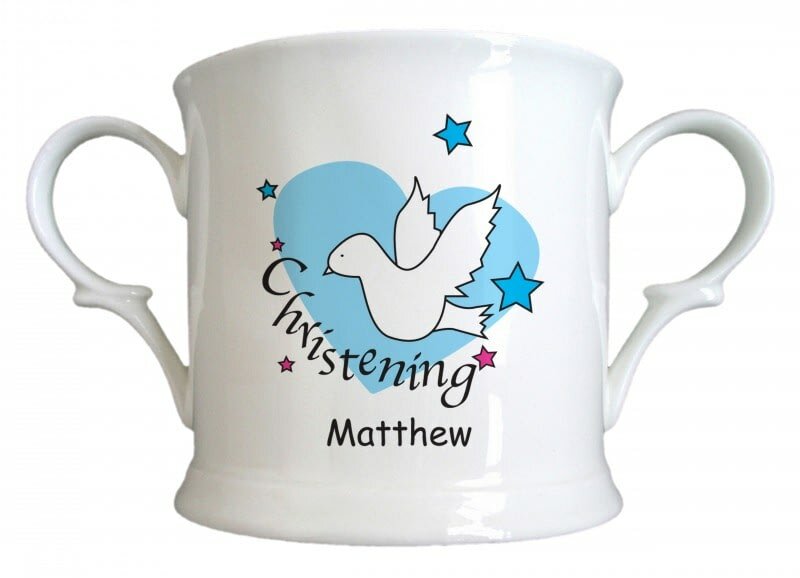 A loving cup decorated with a cute blue heart design with a peaceful dove makes a perfect gift for a little boy's christening day. With your message for the little prince included on the back of the cup, and his name adorning the front this blue themed loving cup will stand proud on the mantle until he's old enough to use it. The front of the cup features a cute elephant design and the reciepients initial.